Today’s internet is more than just about data. Providers such as Optus offer entertainment bundles on some plans, so you can not only browse the web but enjoy streaming and premium TV as well. 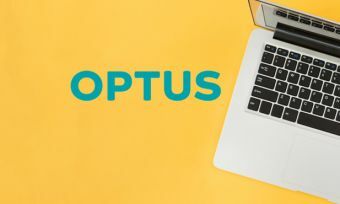 Read on to find out what bundles Optus offers and how they stack up to others – such as Foxtel and Telstra – in the internet and entertainment game. Optus offers a dead simple approach to internet bundles. From $99 a month, customers get access to unlimited data, Optus Sport and Fetch. The Fetch part of the equation yields a Fetch multimedia player, and one channel pack (ordinarily worth an extra $6). From there you can watch premium channels such as MTV, Discovery Channel, ESPN, National Geographic and more, depending on what pack you get. Optus Sport is the only way to watch every English Premier League game live. Fetch is one of the cheapest ways to watch NBA, NFL and MLB games live. If you’re an existing Optus mobile customer, you’ll score a $10 discount on your monthly broadband plan. Fetch’s services are offered via streaming. 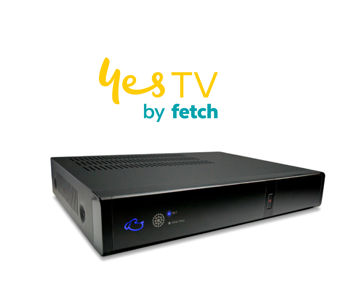 Through Fetch you can have remote control access to Netflix, HayU, Stan, catch-up TV and live TV as well. You also get access to 30 free movies a month in the ‘Movie Box’, and you can also connect your own content via USB or portable hard drive. These plans are available on NBN, cable, and ADSL services, with NBN customers receiving the ‘Standard Plus’ speed as standard, with a boost to Premium NBN 100 speed available for $30 extra per month. Plans are available on a no lock-in contract, which costs $200 to setup (including the modem fee); in comparison, 24-month contracts incur a $99 setup charge, modem included. All in all, Optus shines with its entertainment package, especially in the live sport department. How do Optus bundles compare to Telstra and Foxtel? Telstra offers unlimited data from $99 a month, which includes Telstra TV and 24 months of Foxtel Now, the streaming version of Foxtel. Traditional Foxtel with the Entertainment + Sports package is available from about $129 per month (including your broadband plan), and you’ll be subject to a 24-month contract. Foxtel offers bundles with unlimited data from $104 per month. You’ll get traditional Foxtel with the Entertainment bundle included. About $143 monthly will get you the Entertainment + Sports bundle, while the $204 per month plan includes the Platinum HD bundle, featuring every channel available. Overall, Optus obviously exists at the cheaper end of the scale, but for this you do miss out on a few key areas: HBO shows such as Game of Thrones, and every NRL or AFL game live. If you’re a stickler for these types of premium content, then you likely have no choice but to side with Telstra or Foxtel. However, if you’re just looking for American sports or EPL and some light entertainment, Optus with its Sports and Fetch bundles work well. Is an Optus bundle worth the money? Optus certainly presents its case well – $99 per month, and you get access to premium streaming through Fetch AND every EPL game? That sounds pretty tough to beat, and for EPL nuts alone it may be worth the fee. However, Optus faces some stiff competition, and it’s not so much about price but more so about what’s on offer. Telstra and Foxtel are priced higher than Optus but offer bundles with Foxtel in them, including access to the Sports packages. Basic entertainment starts at about $100 each month, while for sports you’ll be paying closer to $130 per month. With these two you also get access to HBO, something which Optus cannot provide. Ultimately it comes down to what you’re after. If you’re after EPL and entertainment, it’s hard to go past Optus. However, if you want NRL, AFL and HBO, it’s tough to go past Foxtel or Telstra. All have their unique selling points, it just comes down to what provider fits your needs best.